Journey into a world of style, culture and travel with the luxury Ritz-Carlton range of accomodation. With an unwavering commitment to service and quality your travel experience will be one to remember. Purchases from Ritz-Carlton will track as 'Marriott'. 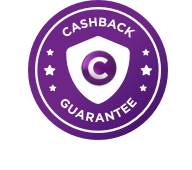 Use of any coupons and/or incentive offers/links (including Amex/Mastercard/Visa discounts) will invalidate any cashback and/or any cashback claims, including our cashback guarantee, unless specifically listed on this site.